Thomas Edward Lawrence was born at Tremadog, in North Wales. He was the second of five boys to be born to Thomas Robert Tighe Chapman, of the Anglo-Irish landowning class, and Sarah Junner. Montague Robert (Bob), was born in Dublin in 1885. Tremadog that Thomas Edward (Ned) was born. The Lawrences continued to move around as more sons arrived. William George (Will) was born in Kirkcudbright, Scotland, in 1889. The family lived in Dinard, on the coast of Brittany, France, from 1891, moving temporarily to St Helier, Jersey, for the birth of Frank Helier in 1893. In 1894 they returned to England to live in the New Forest. series of ambitious bicycle journeys around England, Wales and France to further his studies. Lawrence read history at Jesus College, Oxford, graduating with First Class Honours. 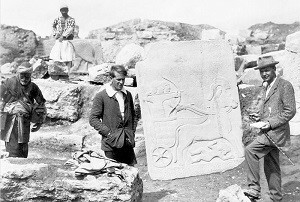 In summer 1909, he undertook an arduous 1,000-mile walking tour of Syria to study Crusader castles for his thesis, The Influence of the Crusades on European Military Architecture—to the End of the XIIth Century. Exploration Fund, publishing their findings as The Wilderness of Zin. 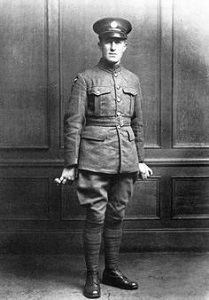 and Will, missing in action in an observation plane over France on October 23 and presumed dead. In April 1916, Lawrence went to Basra in Mesopotamia to take part in negotiations for the release of Allied soldiers besieged in Kut. 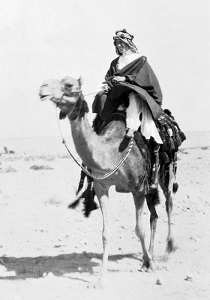 From October 1916, Lawrence worked as Liaison Officer to the Emir Feisal, whose Arab irregular troops became engaged in a series of guerrilla operations against the armed forces of the Ottoman Empire, known as the Arab Revolt. 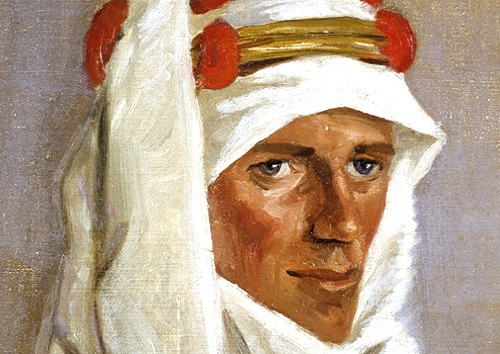 It was these turbulent two years which provided the material for his book Seven Pillars of Wisdom and were the basis for his eventual fame as ‘Lawrence of Arabia’. 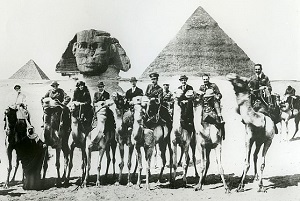 Lawrence’s involvement in the Arab Revolt came to an end with the fall of Damascus in October 1918. He returned to England and commenced lobbying politicians to fulfil promises for independence made to the Arabs. legend was created by an American journalist, Lowell Thomas, who presented an ‘illustrated travelogue’ to huge audiences, first in New York, then in London and finally worldwide. Station in November 1919, Lawrence spent the first weeks of the year rewriting the book from memory while ensconced in the attic of the architect Herbert Baker’s office in Barton Street, London. Winston Churchill approached Lawrence and, despite his initial reluctance, he accepted an appointment as Adviser on Arab Affairs at the Colonial Office. Lawrence attended a new peace conference in Cairo, which resulted in the establishment of the map of the Middle East which largely remains to this day. Pillars of Wisdom – the so-called Oxford Text. In August he enlisted in the ranks of the RAF under the assumed name of John Hume Ross. It was his early service in the training depot at Uxbridge which provided much of the material for his book The Mint, which was not to be publicly available until 1955. It was in late 1922 that Lawrence embarked on his passion for Brough Superior motorcycles which provided him not just with transport, but with a mental escape. Corbeau’s Le Gigantesque (Forest Giant). readmitted to the RAF, stationed at Cranwell. Miranshah near the Afghan border. During this time he completed The Mint and began translating Homer’s Odyssey. In January, Lawrence returned to England following press stories that he had been involved in an insurrection in Afghanistan. He was stationed at RAF Cattewater (later Mount Batten) in Plymouth, from where he resumed his friendships with artists, politicians and writers. 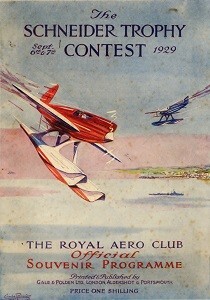 During the summer, he acted as personal assistant to his commanding officer, Wing Commander Sydney Smith, during the preparations for the prestigious Schneider Trophy seaplane race over the Solent. Lawrence started work on the development of high-speed rescue boats for the RAF, after witnessing the fatal crash of an RAF flying boat in Plymouth Sound. It was this work that occupied most of his final years in the RAF, taking him to postings in Hythe, Southampton and Bridlington. 1932 saw the publication of his translation of the Odyssey. Lawrence retired from the RAF and cycled from his last posting in Bridlington to Clouds Hill. Lawrence fell from his Brough Superior motorcycle when he was in collision with two boys on bicycles on the road between Bovington Camp and Clouds Hill. He never regained consciousness. Lawrence died as a result of his injuries. Lawrence was buried at Moreton, Dorset. His funeral was attended by a large crowd including Winston Churchill, writers and artists including Augustus John, Eric Kennington and Siegfried Sassoon, and friends from his service days. Lawrence’s mother Sarah and brother Bob were travelling along the Yangtze river on their return from China, where Bob had been working as a medical missionary, when they received the news of his death; his brother Arnold was the only family member present at the funeral.